Heine, Ben. 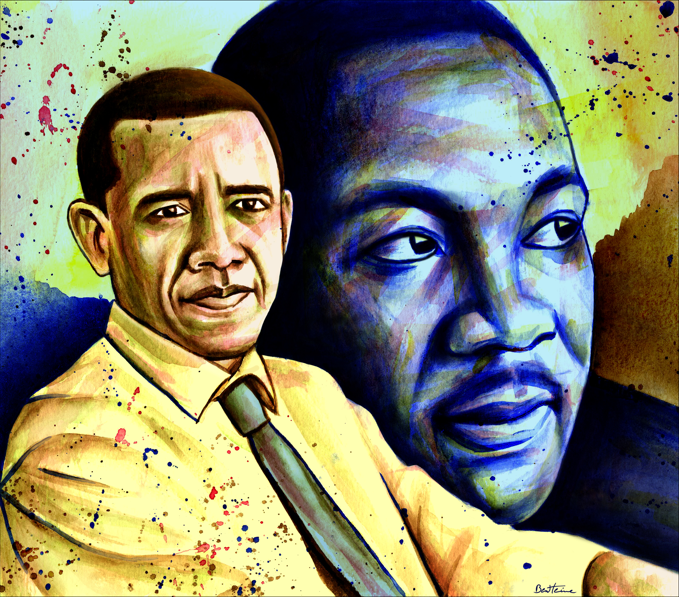 "Colorful people for a Better World, Barack Obama, Martin Luther King". Online image. 3 Apr. 2008. Flickr. 18 Jan 2010. I know I can’t be the only one out there who’s thought about this: What would I say if I had 10 minutes with President Obama to discuss education? How could I convince him that testing is not an accurate measure of learning, and our country is wasting precious time, energy, and funding on results oriented evaluations? How could I politely tell him that “Race for the Top” is a really bad name and approach for funding an educational system that better start worrying about the bottom, not the top? How do I tell him that education is not a race, but a way to foster a life long love of learning? We know that President Obama is very aware of the power of social networking tools. How could we get him to follow twitter lists such as #edchat, #edtech, and #education, in order to a have a real sense of what our country’s educators are thinking and doing. Our leaders need to have faith in our teachers. On March 14, 1964, Dr. Martin Luther King Jr. accepted the John Dewey award from the United Federation of Teachers; his acceptance speech is recorded here. Maybe President Obama will get the chance to listen …just maybe. Education is about empowerment and choice and an educated population is the backbone of a working democracy. Everyone deserves the chance to learn how to learn and the opportunity to be excited about his potential for learning. What will be my reality?